Nearly 50 years after British astrophysicist Jocelyn Bell discovered the existence of rapidly spinning neutron stars, NASA will launch the world's first mission devoted to studying these unusual objects. The agency also will use the same platform to carry out the world's first demonstration of X-ray navigation in space. The agency plans to launch the two-in-one Neutron Star Interior Composition Explorer, or NICER, aboard SpaceX CRS-11, a cargo resupply mission to the International Space Station to be launched aboard a Falcon 9 rocket. 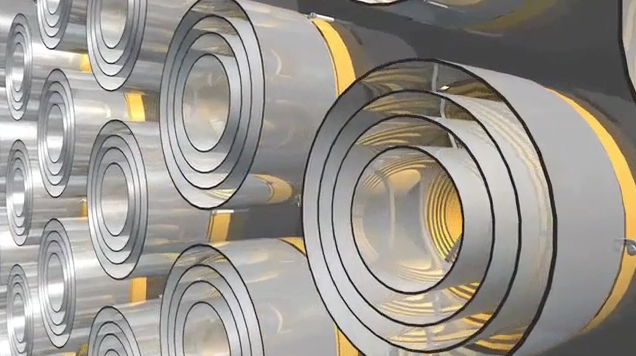 About a week after its installation as an external attached payload, this one-of-a-kind investigation will begin observing neutron stars, the densest objects in the universe. 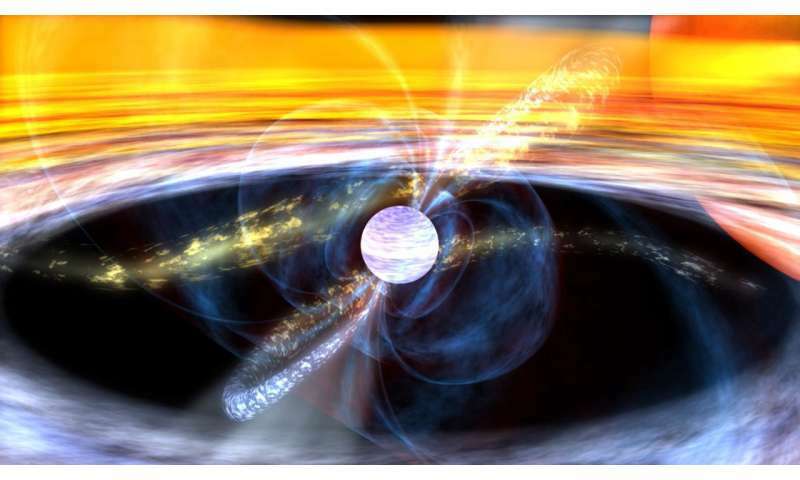 The mission will focus especially on pulsars—those neutron stars that appear to wink on and off because their spin sweeps beams of radiation past us, like a cosmic lighthouse. "The timing of this launch is apropos," said Keith Gendreau, a scientist at NASA's Goddard Space Flight Center in Greenbelt, Maryland, who led the mission's development also involving the Massachusetts Institute of Technology, the Naval Research Laboratory, and universities across the U.S. and in Canada. Although the team had completed and delivered the refrigerator-sized payload equipped with 56 X-ray telescopes and silicon detectors ahead of schedule last summer, a launch opportunity did not become available until 2017. Soon after the 50th anniversary of Bell's discovery on July 25, the NICER team should have collected enough data "to make a little bit of a splash," added NICER Deputy Principal Investigator Zaven Arzoumanian, referring to scientific conferences this year, including one celebrating Bell's detection of regularly pulsing signals that later were identified as rotating neutron stars. Because of their extreme nature, neutron stars and pulsars have engendered a great deal of interest since their existence was theoretically proposed in 1939 and then discovered in 1967. These objects are the remnants of massive stars that, after exhausting their nuclear fuel, exploded and collapsed into super-dense spheres about the size of New York City. Their intense gravity crushes an astonishing amount of matter—often more than 1.4 times the content of the sun or at least 460,000 Earths—into these city-sized orbs, creating stable, yet incredibly dense matter not seen anywhere else in the universe. Just one teaspoonful of neutron star matter would weigh a billion tons on Earth. "The nature of matter under these conditions is a decades-old unsolved problem," Gendreau said. "Theory has advanced a host of models to describe the physics governing the interiors of neutron stars. With NICER, we can finally test these theories with precise observations." Although neutron stars emit radiation across the spectrum, observing them in the energetic X-ray band offers the greatest insights into their structure and the high-energy phenomena that they host, including starquakes, thermonuclear explosions, and the most powerful magnetic fields known in the cosmos. During its 18-month mission, NICER will collect X-rays generated from the stars' tremendously strong magnetic fields and from hotspots located at their two magnetic poles. At these locations, the objects' intense magnetic fields emerge from their surfaces and particles trapped within these fields rain down and generate X-rays when they strike the stars' surfaces. In pulsars, these flowing particles emit powerful beams of radiation from the vicinity of the magnetic poles. On Earth—as Bell discovered—these beams of radiation are observed as flashes of radiation ranging from seconds to milliseconds depending on how fast the pulsar rotates. Because these pulsations are predictable, they can be used as celestial clocks, providing high-precision timing, like the atomic-clock signals supplied through the Global Positioning System, also known as GPS. Although ubiquitous on Earth, GPS signals weaken the farther one travels out beyond Earth orbit. Pulsars, however, are accessible virtually everywhere in space, making them a valuable navigational solution for deep-space exploration. Using the same NICER hardware, the mission also plans to demonstrate the viability of autonomous X-ray or pulsar-based navigation, which has never been demonstrated before. In an experiment called the Station Explorer for X-ray Timing and Navigation Technology, or SEXTANT, the team will use NICER's telescopes to detect X-ray light emitted within the pulsars' sweeping beams of radiation to estimate the arrival times of the pulses. With these measurements, the team will use specially developed algorithms to stitch together an onboard navigational solution. If an interplanetary mission were equipped with such a navigational device, it would be able to calculate its location autonomously, largely independent of NASA's Deep Space Network, which is considered to be the most sensitive telecommunications system in the world. "Our primary goal is science," Gendreau said. "But we can use the same pulsar measurements to demonstrate X-ray navigation. It's rare that we scientists get to develop a multi-purpose experiment such as this one. It's all coming together." However, X-ray navigation using NICER's pulsar timing data is not the only technology the team would like to demonstrate. In another potential first, the team wants to demonstrate X-ray based-communications, or XCOM—a capability that could eventually allow space travelers, including spacecraft, to transmit gigabits of data per second over interplanetary distances. Central to this potential demonstration is Goddard's Modulated X-ray Source, or MXS, which the NICER team developed to calibrate the payload's detectors and help test the algorithms needed to demonstrate X-ray navigation. This device generates X-rays with rapidly varying intensity, turning on and off many times per second to simulate, for example, a target neutron star's pulsations. To show XCOM, the team would fly a space-qualified MXS to the International Space Station and deploy it on an external experiment pallet about 166 feet away from NICER. During the experiment, the team would encode digital data in pulsed X-rays using the MXS and transmit the data to NICER's receivers. "We have most of the hardware completed," said SEXTANT and XCOM Project Manager Jason Mitchell. "We just need a few more resources to finish the job." If the team succeeds in flying MXS perhaps next year, "the resulting demonstration could be game-changing," Mitchell added. In addition to promising gigabit-per-second data transmission speeds across vast distances, X-ray communications would enable communication with hypersonic vehicles and spacecraft. "This is a very interesting experiment that we're doing on the space station," Gendreau said. "We've had a lot of great support from the science and space technology folks at NASA Headquarters. They have helped us advance the technologies that make NICER possible as well as those that NICER will demonstrate. The mission is blazing trails on several different levels." Looking at the x-section graph in the video, why do they call it a neutron star when it is made of layers of electrons, neutrons and protons ( including others). The outer most major layer is electrons. Shouldn't it be called an electron star? "About a week after its installation as an external attached payload, this one-of-a-kind investigation will begin observing neutron stars, the densest objects in the universe." Because the bulk of the mass is neutrons (+/- whether the interior may actually be a 'cold' quark-gluon plasma) You can kind of think of the electrons as an outer atmosphere of the star. You could give it a 'virtual density' by the mass and the size of the event horizon, but whether that reflects the actual state of affairs inside is anyone's guess.